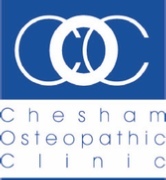 Chesham Osteopathic Clinic is a family run practice that has been established since 2003. We pride ourselves on being a friendly, caring, and knowledgeable healthcare service offering excellent value for money. We have been supporting the local community for over a decade providing care for newborns, children, and pregnant women, the elderly, athletes, office staff and tradesmen. Chesham Osteopathic Clinic’s prides itself on providing high quality healthcare for all ages. As well as treating muscle spasms, sprains, strains, nerve pain, chronic or associated arthritic pain, postural related problems and sports injuries, the clinic also has a special interest in providing treatment and care for pregnant women, babies, children and post partum mums. 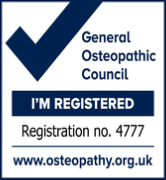 Taeona is a registered osteopath, and is a member of the Institute of Osteopathy and the British Osteopathic Association. She now works in her busy Osteopathic clinic in Chesham, alongside a maternity reflexologist and a homeopath providing a bump and baby care package. Thurs - Fri 9.00am -3.00pm. I have visited Taeona at her clinic in Chesham a few times now, she treated me whilst I was pregnant with my second child, she was extremely professional, and she really helped me with all my aches and pains all through my pregnancy. I have also seen her since having my daughter for back and neck problems. Taeona fitted me into her busy schedule at very short notice, her experience in treating all sorts of patients really shines through and I would highly recommend her. Laura Hamilton. With her easy manner, Taeona had guided me towards injury prevention exercises and advice for my running, and with top class post race massages. And even with the rigours of my work she has kept me mobile. I can not recommend Taeona highly enough. Tim, runner and gardener.